Want to know the difference between a righteous person and a wicked one? Simple, check the fruit of their life. One of the most visible forms of fruit in a person's life is his or her speech. The righteous person finds a way to impart life with his or her speech. 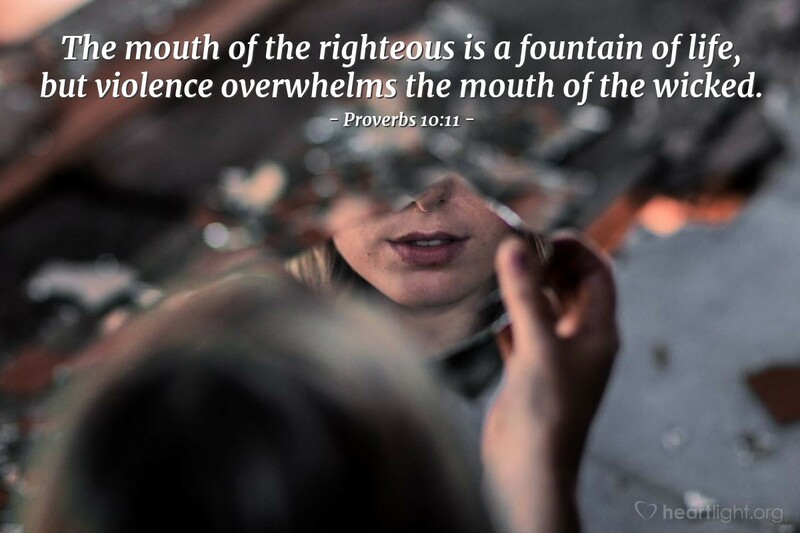 The wicked will nearly always reveal themselves by what his or her mouth says. May the words of my mouth and the meditations of my heart be pleasing in your sight, O God my Father, redeemer, and LORD. In the name of Jesus. Amen.